Happy Friday everyone! It’s a bit hard to believe that we’re coming up on the fourth week of January already, isn’t it? Here in southern Wisconsin, it’s a bit hard to believe it is January at all! We’re looking at temps in the upper 40s this weekend which is definitely above normal for us. I’m dog sitting on Saturday so I’m sure I can count on them for getting me outside to enjoy the weather. Nothing else planned except for that Green Bay/Atlanta game on Sunday. Have a great weekend and Go Pack Go! Though we’ve been in our apartment for four months now, we’re still getting reacquainted with Madison and working on adding things back into our lives that bring function and comfort. Here are my favorite new (to me) things this month. I received a gift card for our local hot yoga studio for Christmas this year. This studio offers several different types of yoga and fitness classes including barre. Since I have unlimited access for a month, I have been trying everything and found a new favorite: Yin! I had never attended a yin yoga class before, mainly because I previously treated yoga as “workout” for building muscle and I thought yin yoga just involved a bunch of laying around. Yin is totally different than vinyasa style classes as it’s intended to be a release for your body, especially your connective tissues. The poses are generally held for 3-5 minutes in order for you to be able to completely release into them. Dragonfly Hot Yoga offers a heated aroma yin class that pairs yin yoga with aromatherapy. The instructors offer a different aromatherapy for each pose, some on a cotton balls, some with a spray and my favorite: a cool towel on the back of your neck. It’s absolutely my favorite new way to start and end the week. Sometimes I use Pandora for ease of just pushing play but sometimes I want to listen to something specific. I don’t have a Spotify subscription so I figured I would try the free trial of Amazon Music Unlimited. To my surprise there is a huge selection (like Spotify huge) and the app is user friendly. They have curated playlists as well so there is still the option of push and play. If you have Amazon Prime, Amazon Music Unlimited comes in a bit cheaper than Spotify or Apple music at $7.99/mo or $79/year. You can start a free 30-day trial through this link. You can probably tell that I am on a bit of an essential oil kick right now. I’ve used lavender for years but hadn’t really experimented with any others until now. 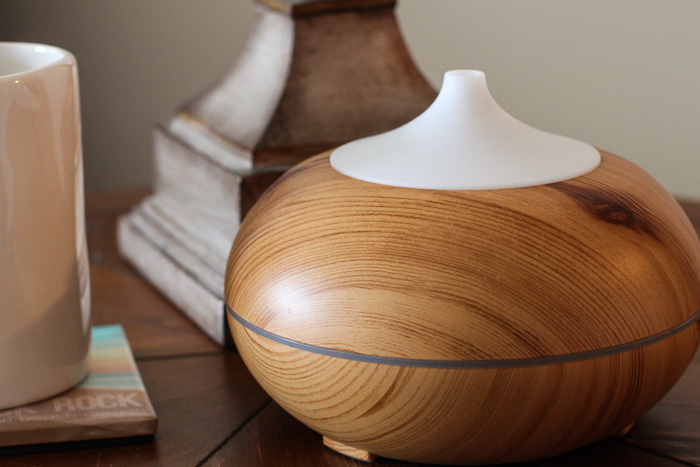 I recently received an essential oil diffuser and am really enjoying it. 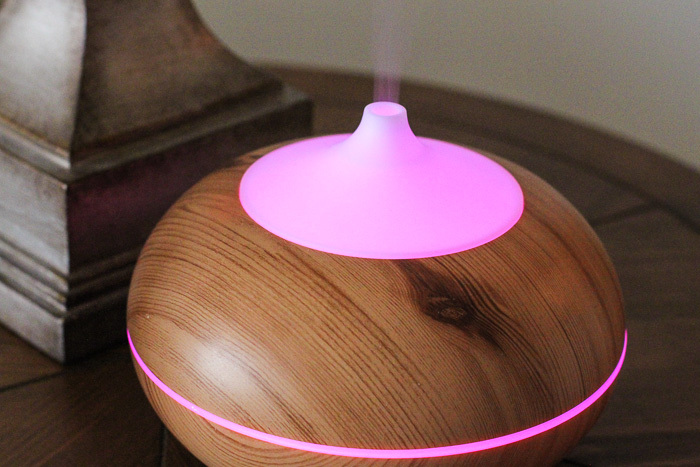 I set it up in the living room most days with an uplifting oil and almost always diffuse lavender in our bedroom while we read before bed. I have this one and have found it to be a good size for any room in my apartment and it’s easy to clean as well. It has a light feature which you can see in the second photo but I usually leave it off. Anyone have a favorite oil combination I should try? 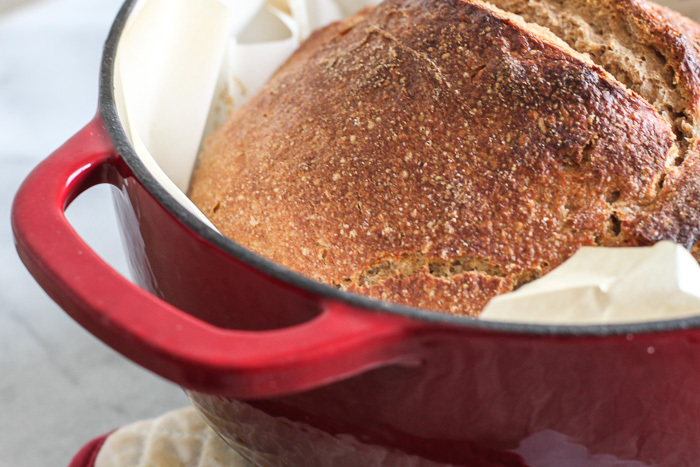 In (what seems like) my never-ending quest for an easy-to-make sourdough bread recipe, I finally caved and bought a dutch oven. And boy was everyone right with that recommendation. It has made a ton of difference in the final product. I can only assume it has to do with the fact that the bread almost steams while you have the lid on. I put the bread on parchment before putting it in the dutch oven so there is absolutely no clean up. I bought this small 3.2 quart one and it’s the perfect size for bread baking. thredUP is an online secondhand store for women’s and children’s clothing. It was actually recommended to me last fall when I was on the hunt for some sweaters to get me through winter. Even though they offer free returns, I never actually ordered anything because I just wasn’t sure. I finally bit the bullet and ordered some new (to me) workout clothes last week. I know, used workout clothes. What? I figured if they arrived gross or in poor condition, I would just send them back. Everything I received appears to be items that people bought but never really used. In fact, a one item had the original tags. I scored a pair of my favorite Nike workout capris as as well as a couple of tanks. The pink one only cost me $4! I also ordered a couple things for our trip to Hawaii in March but they didn’t fit so they’re going back. If you want to try thredUP, sign up through this link for $10 off your first order. Any newly found favorites out there?